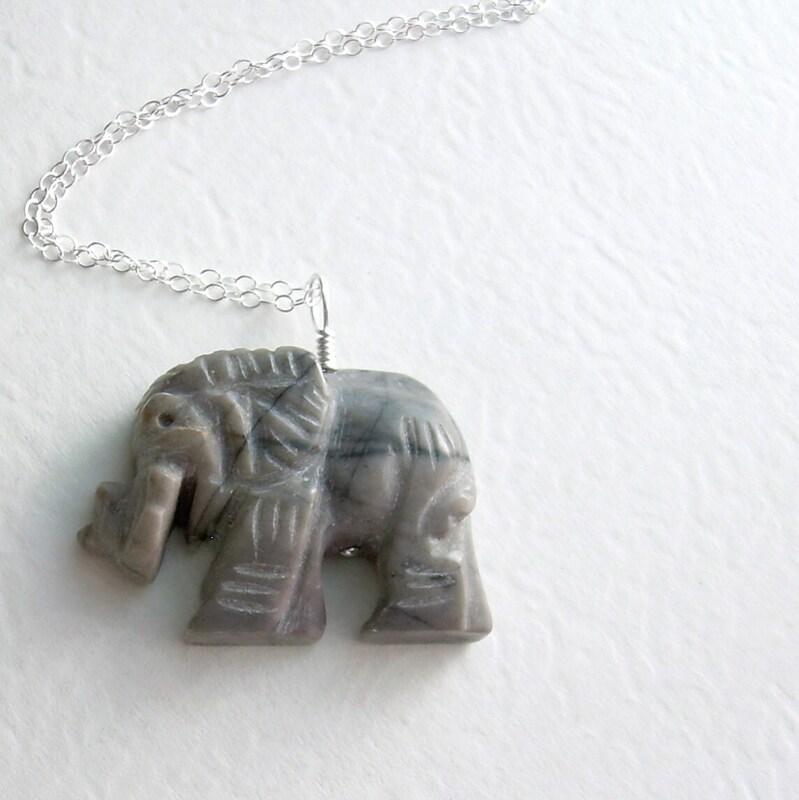 A carved stone elephant pendant, made of picasso jasper, strung for a sterling silver necklace. He must be a baby, since he's not too heavy, at only 1 1/4 inches (3.2 cm) across & less than 1 inch high. The grey rock has darker black lines on both sides, & the back of the pendant is flat. A 16 inch (40 cm) sterling chain is included. Folksy :: Buy "Pretty Smoky Quartz, Leopard Skin Jasper & Faux Leather 925 Necklace"
Folksy :: Buy "Snowflake Jasper Heart on Faux Leather Cord in Sterling Silver"
Folksy :: Buy "Picasso Jasper and Smoky Quartz Necklace"
Folksy :: Buy "Jade, Agate and Jasper Spring Necklace"
Folksy :: Buy "Kambaba Jasper, Agate and Jade Chunky Necklace"